Casemiro completed one of his best games of the season against Sevilla and, without a doubt, the most complete of 2019. He scored a goal and was a fence. Casemiro completed one of his best games of the season against Sevilla and, without a doubt, the most complete since it began 2019. The Brazilian not only scored a great goal to open the score, but he was again a fence in the midfield, being the third player of the team that recovered the most balls (7) and the fifth player who made the most passes (58) . Casemiro has regained ownership after the injury suffered by Llorente in the Christmas break and before the Sevilla made it clear that he is not willing to let himself eat ground by the Madrid. The spectacular irruption of Marcos Llorente, while the Brazilian was convalescing from the sprain of Ankle suffered on November 11 in Balaídos, opened the debate about who should occupy the anchor position when both are available to Solari. The Madrid midfielder is already in the final stretch of his recovery and possibly next week will be available to Solari. From then on, the Argentine coach will have to choose between the midfielder who has been key in the last three Champions achieved by Madrid or the MVP of the final of the Club World Cup. The match of Champions against Roma on November 27, with Casemiro injured, was used by Llorente to set a great performance and consolidate in the eleven from that instant. To the point that Solari kept him in the team during the Club World Cup, when the Brazilian was already recovered. Llorente dazzled everyone in a spectacular final. However, days later he fell injured. 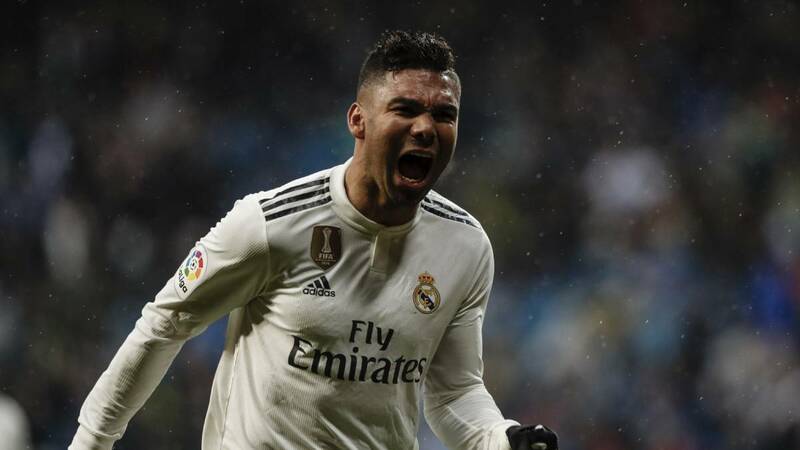 Casemiro took the baton and since then he has been a starter in the six matches that Madrid has in 2019. If Llorente returns to the level he had offered before the injury, Solari will have the difficult ballot to choose between him and Casemiro.